Signed to BMG since 2001 and producing to date nine studio albums under different guises he has remained resolutely under the radar, choosing to go about his craft in his own unique way and style. 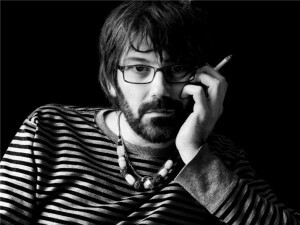 The Mostar Diving Club is his latest project with four albums released under its banner; Don Your Suit of Lights (2008), Triumph of Hope (2013), Horizontal Hotel (2015) and Everything is Beautiful (2017); you've probably never heard of him though you will of heard his songs which have been used widely in film and television to create unique and beautiful atmospheres on screen. The music ranges from large scale productions to just a simple guitar and voice recorded in the garden. Recorder orchestras, violins with trumpet attachments, bowed saws, accordions, harmoniums, glockenspiels, banjos, auto harps and ukuleles are just a few of the instruments to be heard on these highly eclectic albums. They have met with great critical acclaim both here and abroad; "Don't equate the lightness of touch Damian Katkhuda brings to his music with a lack of graft: the singer has been releasing magical folk-pop albums for years, never quite breaking through but affirming the notion that if you look beyond the charts you can strike gold. Infused with a born-melodist gift and straight-to-the-emotional-mains lyric writing, this music is plaintive and heart breakingly lovely, Pure gold." (Sunday Times). The name, The Mostar Diving Club, is taken from a town in Bosnia where Katkhuda's fathers' family hail from; as a right of passage into adulthood, young men dive from an old bridge into a shallow river below, a distance of some thirty meters.